Alle 12-vuotiaat pääsevät majoittumaan puoleen hintaan. Sauna 5€ tai 2-5 hengen perhe 10€ yhteensä. Mikäli aiot viipyä Merikarvialla viikon tai pidempään, kysy tarjous. 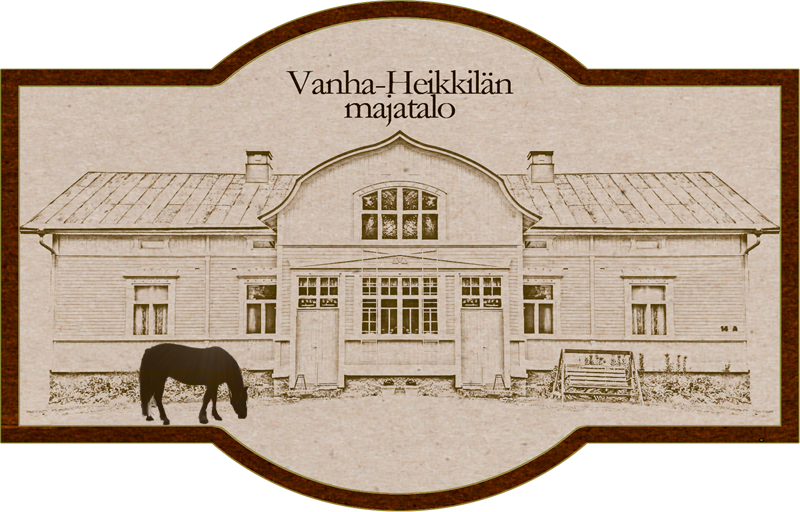 The Vanha-Heikkilä Inn is a country style Bed and Breakfast located in the centre of Merikarvia. The river is located 300 metres and sea 3,5km from the Inn. Visiting the traditional cottage, fishing trips, paddle or visiting in our beautiful Oura`s arcipelago is also a possibility. The Inn consists of five buildings: the Inn, a sauna building, a cottage, a horse shed and a barn with its horse stables. The Inn caters random tourist as fishermen, families with children as well as meetings with bigger groups.